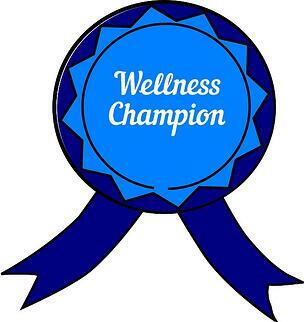 You might have noticed the wellness challenge we participated in last month. Challenges like our #IAmHealthy 30-day Challenge are an excellent way to spice up your wellness program. 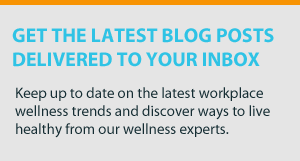 Depending on your company culture, there are a million different challenges you can integrate into your corporate wellness program. A step challenge is an excellent option if your workforce is pretty tech-savvy. Wearable fitness trackers are a huge trend right now. So much so that many wellness portals can sync with popular wearables. This makes a step challenge incredibly easy because it can all be managed in your portal. If your workforce isn’t quite so tech-savvy, but still likes to walk, consider a step challenge based on the honor system. Whether it’s reporting steps from a traditional pedometer, or walking a mile a day for a week straight, choose a step metric your employees will understand and be able to easily report. This helps people be intentional about the healthy choices they make throughout the day. It’s a great educational opportunity as well because you can teach your employees the benefits of a variety of healthy habits. Many companies use a points system for incentive purposes. You can take that same concept and apply it to a specific challenge. Consider offering points for things like eating a healthy breakfast, getting five servings of fruits and vegetables, or even noting things to be grateful for. As people rack up points, they’ll learn to think outside the box when it comes to making healthy choices. The person (or people) with the highest number of points would win, and everyone can share how they reached certain milestones. A 30-day challenge can be yet another great option. We chose our #IAmHealthy 30-day challenge because—as a company—we like to focus on everything that makes us healthy. This goes beyond physical health. We wanted our employees to find ways that make them healthy mentally, spiritually, socially, and yes—of course—physically. For our 30-day challenge, we asked people to share reasons they’re healthy on social media with #IAmHealthy. We provided this excellent calendar to spark ideas, but left it wide open for participants to choose their healthy habits. Feel free to take our model and apply it to your company. All the details are right here! No matter what challenge you choose, there are a few things you need to keep in mind. Corporate wellness challenges can be a great thing. Give your team a break from typical wellness activities, and focus on a fun, competitive wellness challenge. How can we help you get started with your next corporate wellness challenge?